Best Floor Plan at Splash! Corner unit with 270 degree views! Amazing Ocean Sunsets! 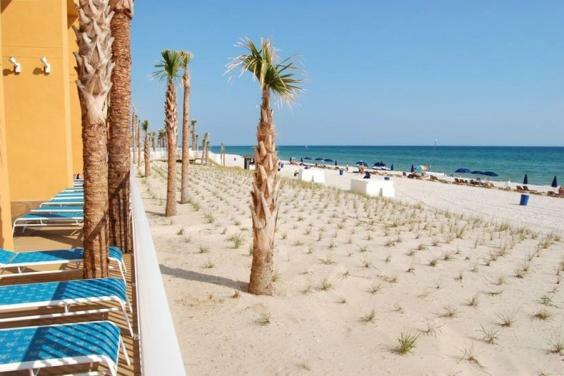 Seasonal Beach Service included (Two padded chaise lounges with large umbrella) every day of your stay! Professionally and tastefully decorated! SPLASH was rated the 15th Best New Resort in Florida by Florida Life & Travel Magazine! 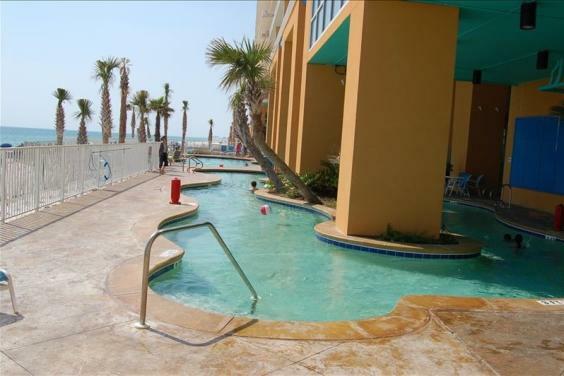 Splash is the newest and most exciting luxury condominium complex in Panama City Beach! 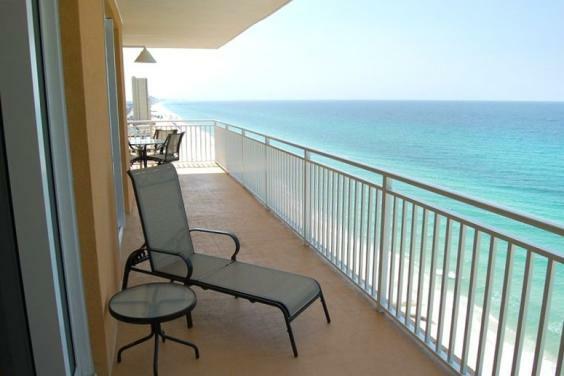 Overlooking beautiful sugar-white beaches and the Gulf of Mexico where you can view spectacular sunrises and sunsets from the balcony. 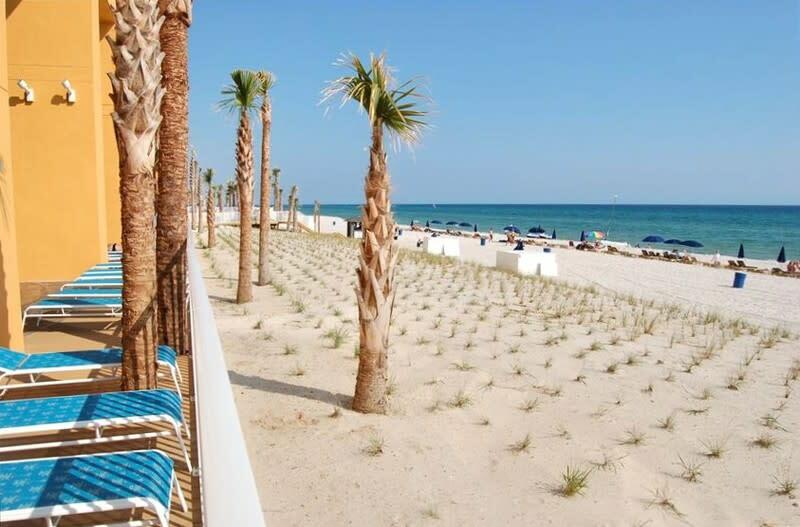 Strategically located towards the quieter west side of Panama City Beach, Splash has convenient access to the new Pier Park complex, the City Pier and other shopping, dining and entertainment venues. 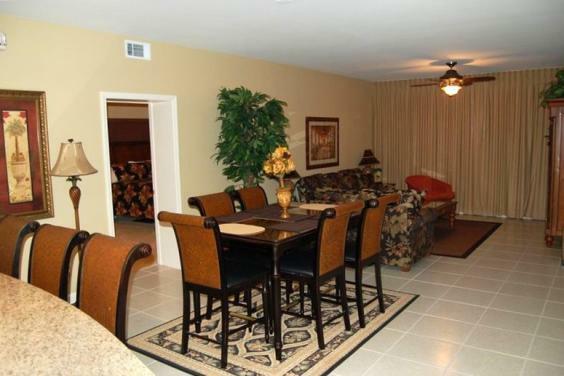 This corner WINDSONG unit with over 1500 sq feet of space has TWO MASTER BEDROOMS with KING SIZE BEDS. 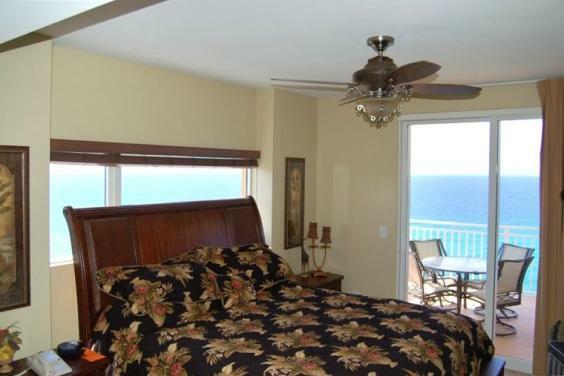 Both bedrooms and the Living Room have OCEAN VIEWS and access out to the large, WRAP-AROUND BALCONY. There is also a children's BUNK AREA. 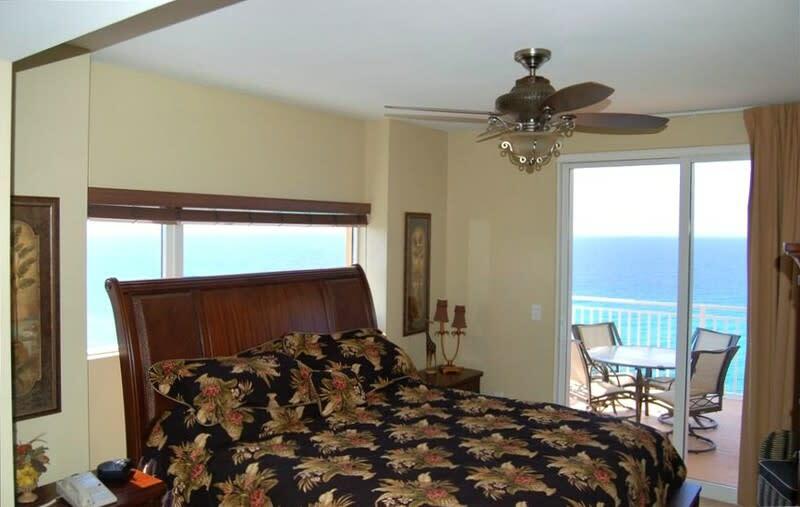 While relaxing indoors enjoy DVD's or HBO on the 42' WIDESCREEN DLP HDTV in the living room or the WIDESCREEN LCD HDTV from the comfort of your bed in the Master Bedroom. 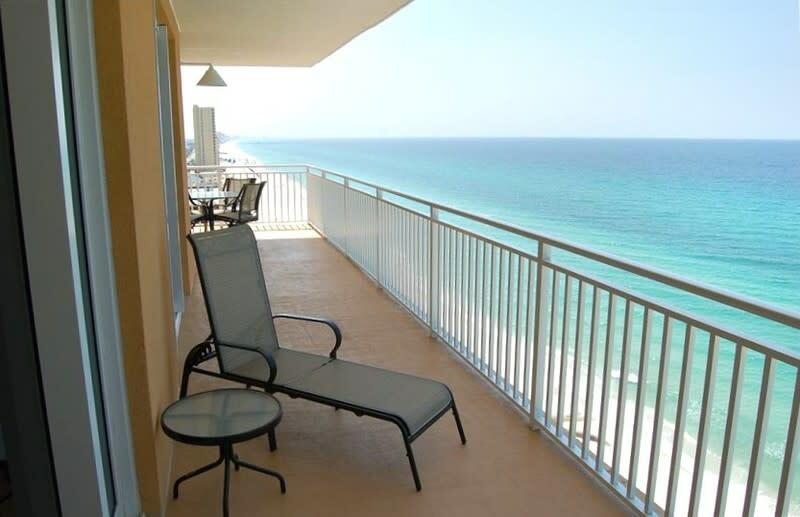 Surf the Internet while relaxing on the balcony using the free HIGH-SPEED WIRELESS INTERNET connectivity. 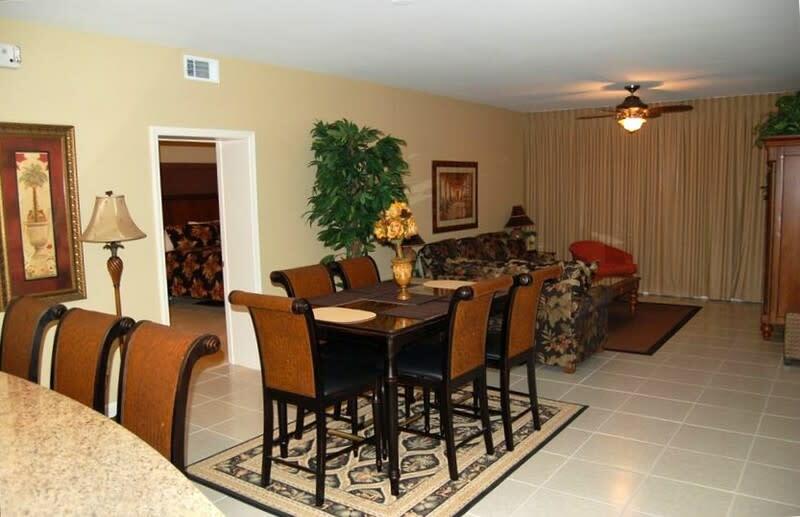 This unit caters to Adults and Children alike, ensuring a great vacation for everybody. From the sophisticated upscale decor that transports you to a tropical paradise to the board games and movies to keep the young ones amused, every attempt is made to make this a memorable destination. As far as amenities go, there is no comparison. Start with the outdoor pools (two are heated) with POOL-SIDE BAR AND GRILL and the sunning lawn surrounded by the beautifully landscaped tropical grounds. 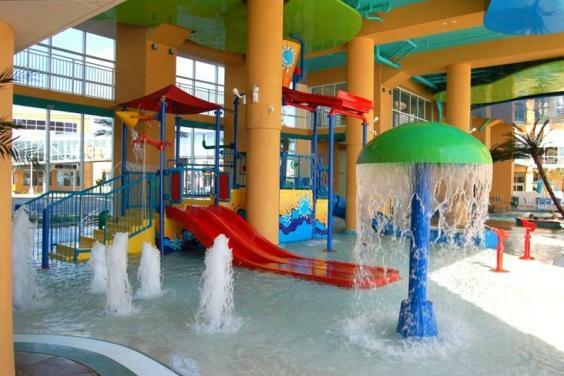 Move on over to the WATERSLIDES, kids water attractions, LAZY RIVER POOL and DIVE-IN MOVIES. Try the MINI BOWLING ALLEY and ARCADE. Work out in the EXERCISE ROOM while watching the ocean waves break on the beach. Once you are at the resort, there is little reason to leave. On-site, you will find covered parking, a new Alvin's Island where you can shop, a coffee and ice-cream shop that also sells small grocery items, including BEER and WINE! Click on the Send Email link below to get more info or make a reservation! Scroll down to see more photos below!